They are among Tony Blair’s closest — and richest — friends. A small cadre of wealthy benefactors have helped to get the former prime minister’s charities off the ground and keep them afloat. A trawl of charity and company documents shows how Mr Blair has attracted millions of pounds in donations from the super-rich, as well as from the US government and even the Swedish lottery, largely for foundations he has set up since leaving Downing Street. 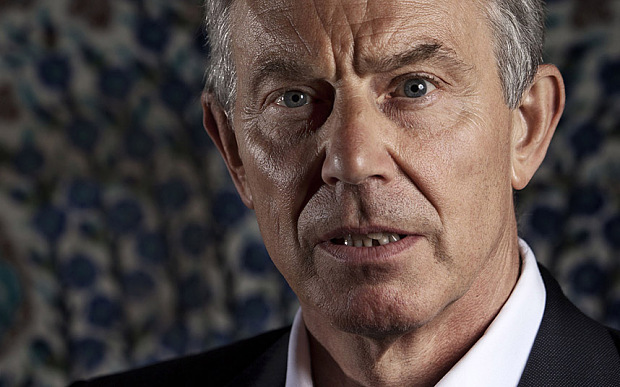 His remarkable ability to network and use contacts made in and out of office has helped him establish two major international organisations with wide-ranging influence: the Tony Blair Africa Governance Initiative and the Tony Blair Faith Foundation. – How AGI trumpeted its ability to persuade an African president to discard three out of four of his mobile telephones as an example of its achievements. Documents lodged in the US show that Paolo Pellegrini, an Italian-born banker and his third wife Henrietta, have given AGI $1.5 million (£1 million) in three payments each of $500,000 spread over three years. The Pellegrinis made the payments through their charitable foundation – the Paolo Pellegrini and Henrietta Jones Foundation. The foundation’s most recent US income tax returns, posted last year, include internal documents from AGI, explaining how their money was spent and what AGI has achieved. It includes details not available in accounts lodged with the Charity Commission in the UK. In the report to its benefactors, AGI states its “longer-term, five-year vision of achieving a footprint that touches on 15-20 countries”. If AGI was successful that would see the charity operating in about half Sub-Saharan Africa, giving Mr Blair and his charity — which offers governance and investment advice to presidents, prime ministers and ministers — enormous influence in the region. The Pellegrini foundation money, says the report, was used — among other things — to “contribute to AGI’s London costs” including the nearly £50,000 price tag for moving the charity in 2012 from Mr Blair’s private office in Grosvenor Square to its own offices in Marble Arch nearby. The report reveals that the Swedish Postcode Foundation, a national lottery with headquarters in Stockholm, also provided support for AGI’s London headquarters, as did Tony Blair Governance Initiative-US, an American offshoot of AGI, of which Paolo Pellegrini is president and Henrietta is treasurer. The American offshoot in 2012 sent £1.5 million to AGI in London.The Swedish lottery told The Telegraph it gave AGI more than £750,000. Part of that donation was spent on AGI’s team in South Sudan, a short-lived foray that ended when the country fell into civil war and AGI was forced to pull its team out. It is not clear how the Pellegrinis came to be introduced to Mr Blair and AGI, of which he is patron. Mr Pellegrini, 57, who largely shuns publicity, made his fortune, estimated at more than £100 million, betting that the American housing bubble was going to burst. The hedge fund he worked for is reckoned to have made more than £13 billion on the 2007 crash in a controversial deal. The close relationship between the Pellegrinis and AGI shows how successful Mr Blair has been in attracting wealthy backers to his numerous philanthropic causes. Bill and Melinda Gates, the richest couple on the planet and good friends of Mr Blair, gave AGI almost £500,000 last year, according to the most recent accounts of the Gates’s own foundation. Mr Gates, founder of Microsoft, has a fortune estimated at £50 billion. Mr Blair’s other main charity, the Tony Blair Faith Foundation, which attempts to reconcile world religions, has also attracted wealthy backers. Victor Pinchuk, a Ukrainian oligarch with a spectacular collection of contemporary art and owner of one of London’s finest houses, gave TBFF £320,000, according to accounts posted last year. Mr Pinchuk is worth an estimated £2.7 billion and has been a staunch supporter of Ukraine’s bid to join the European Union, a cause which has been backed by Mr Blair. Haim Saban, a US-based Israeli entertainment mogul worth £2.3 billion, gave at least £415,000 to TBFF through the Saban Family Foundation. His wife Cheryl, through her own foundation, has given at least £650,000 to a women’s charity run by Cherie Blair. Oleg Deripaska, a Russian oligarch and close friend of Mr Blair’s former cabinet colleague Lord Mandelson, spent £300,000 co-funding a little-known charity run by Mr Blair, which lobbied governments over climate change, called Breaking the Climate Deadlock. Mr Deripaska, a Russian oligarch worth £4 billion, is president of the world’s largest aluminium company Rusal. Mr Blair has also lobbied the Government for funding for AGI, but having been turned down on a number of occasions by the Department for International Development (DfID), has given up trying. AGI has been more successful with the US taxpayer. Washington’s equivalent to DfID, called USAID, is committed to giving £4.5 million through three grants. At one stage Mr Blair’s great friend Hillary Clinton was then US secretary of state in overall charge of USAID. Mr Blair has insisted his charity went through proper tendering processes before winning the contracts. Emails obtained by The Telegraph, whose existence has been reported by this newspaper, disclose how Mr Blair and his charity lobbied USAID officials ahead of the award of sizeable grants. Last month, the US branch of Save the Children gave Mr Blair its global legacy award for his and AGI’s efforts in alleviating poverty in Africa. But the prize caused a huge split inside Save the Children with a letter signed by its own staff demanding the award be revoked while an online petition has attracted 120,000 signatures demanding the same. Last week Mr Blair’s private office disclosed he had given £9.5 million to good causes since leaving office, while estimating his fortune at an equivalent amount but far lower than the £100 million critics have claimed he has earned. Mr Blair gave about £4 million — the advance from his autobiography — to the Royal British Legion. That suggests he has given a further £5.5 million to good causes. It is likely much of that will have been diverted to his own foundations. Mr Blair has repeatedly said that most of his time is taken up with his charitable efforts and work as a Middle East peace envoy and that the moneymaking side of his business ventures is used to support his foundations. This article was published in the Sunday Telegraph on 7th December 2014. See this link.